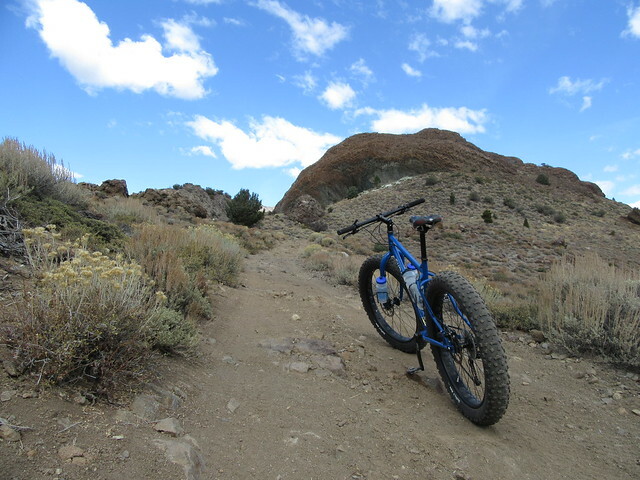 Looking for some new areas to ride, I studied the Mono County Maps and found what looked to be an interesting area to explore near the Sonora Junction. 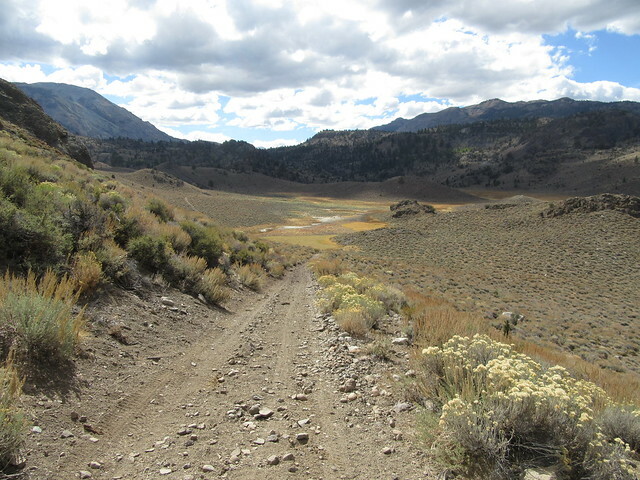 Several miles of dirt roads, mountain lakes, and the Walker River, all bordering the Hoover Wilderness around 7,000 feet elevation. Sounded just like what I was looking for! 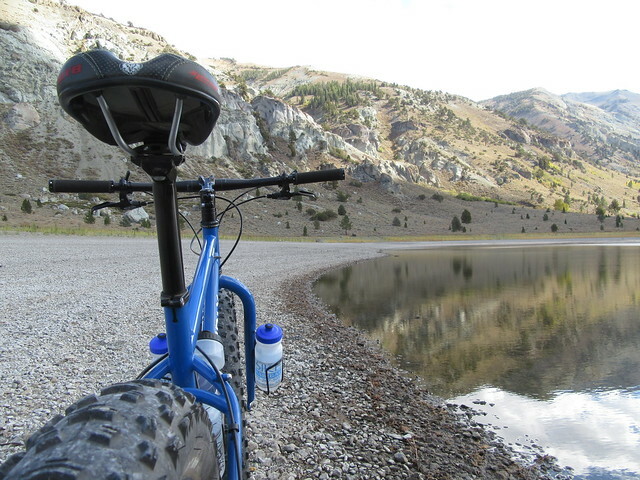 I loaded up the bike and went out in search of adventure and Fall scenery. 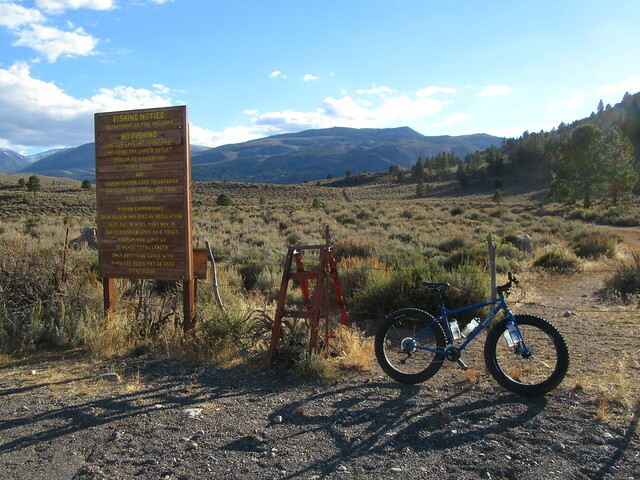 The trailhead for this ride is 1.5 hours south of Carson City on CA State Route 108 (Sonora Pass). 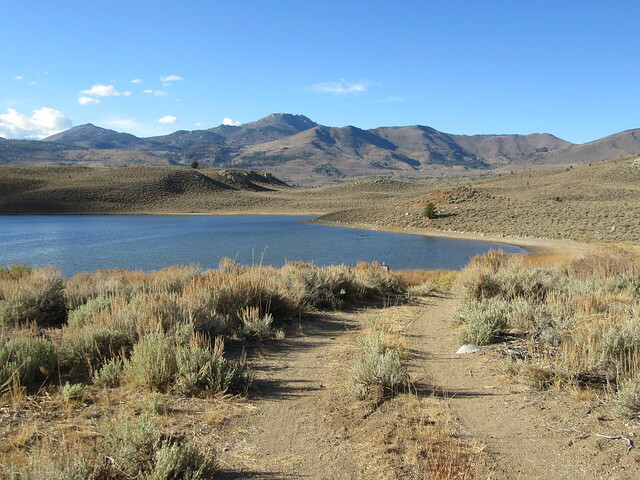 Park at the Kirman Lake trailhead, just under a mile west of the HWY 395 / SR 108 junction. To begin your ride, you must lift your bike over the barbed wire fence and climb over the ladder. Staying west of the corral, you’ll reach another fence and ladder in just a couple hundred yards. There are half a dozen fence crossings on this ride, so if you do an out-and-back, there are 12 fences to negotiate along the way. Luckily most of them are gates. 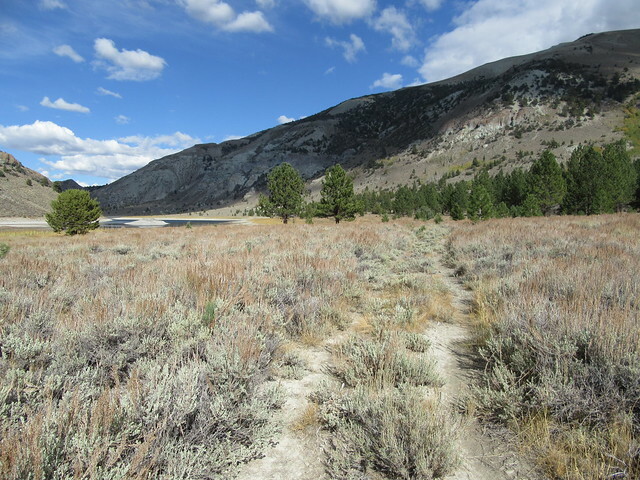 I followed the sagebrush bordered road above grazing meadows to Junction Reservoir, climbing along the base of Pickel Mountain. 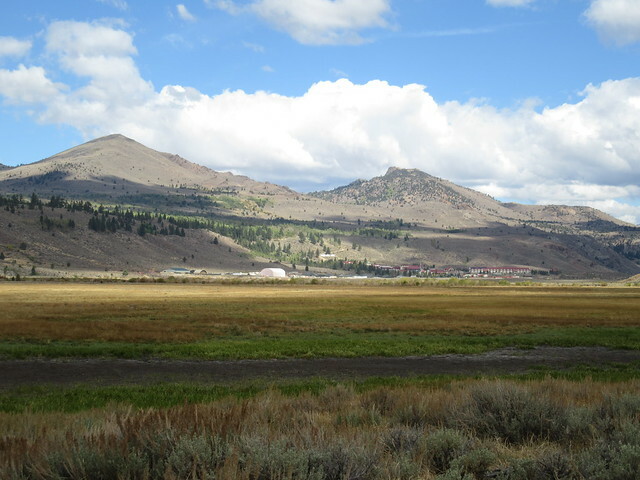 The 10,525 ft Mount Emma to the southeast already had snow on it, a clear indication that summer is officially over. 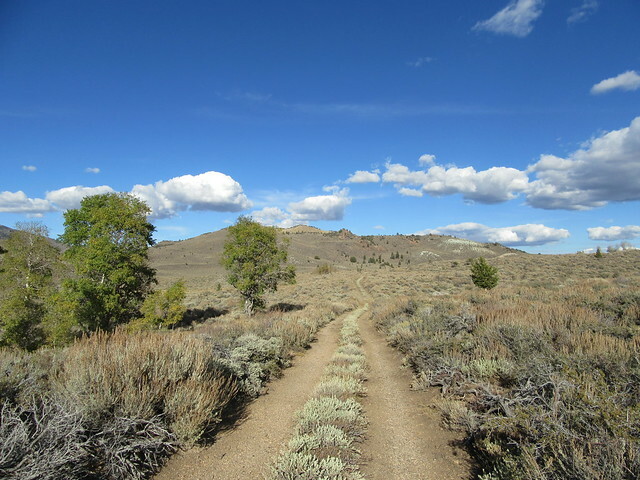 I passed a hiker on this section, and he turned out to be the only person I’d pass on the trail the entire day. I knew I was at Junction Reservoir when I saw all the no fishing signs. 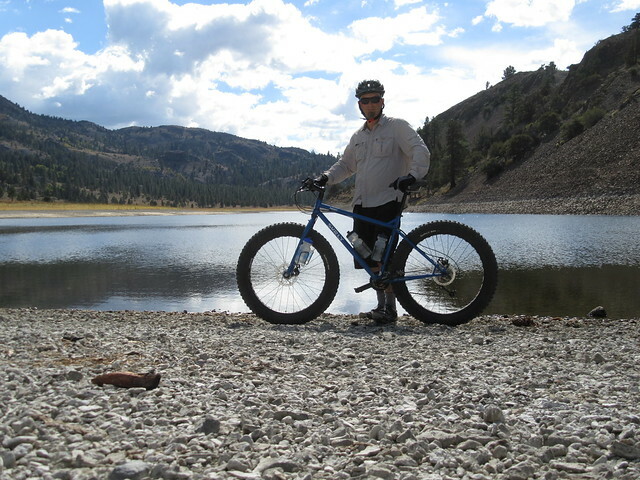 As I pedaled up to the rim of the reservoir, I got a strong whiff of stagnant mud before I could even see the lake. And then seeing what was left in the lake, it was easy to see why. There wasn’t much to see here, so I moved along. 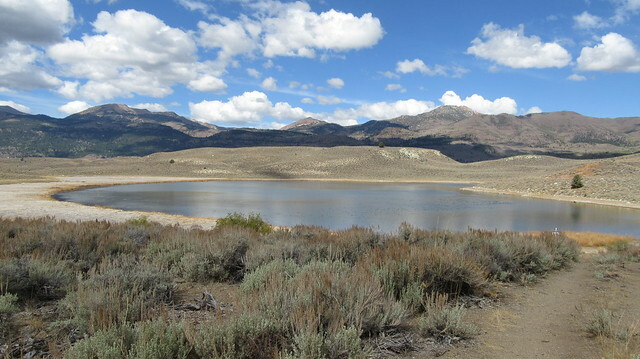 From Junction Reservoir, I headed west up the road to Kirman Lake. 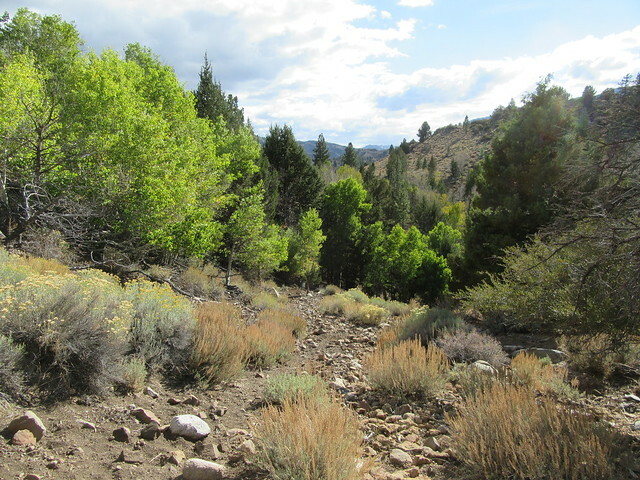 The trail enters an aspen grove as it climbs up a canyon. 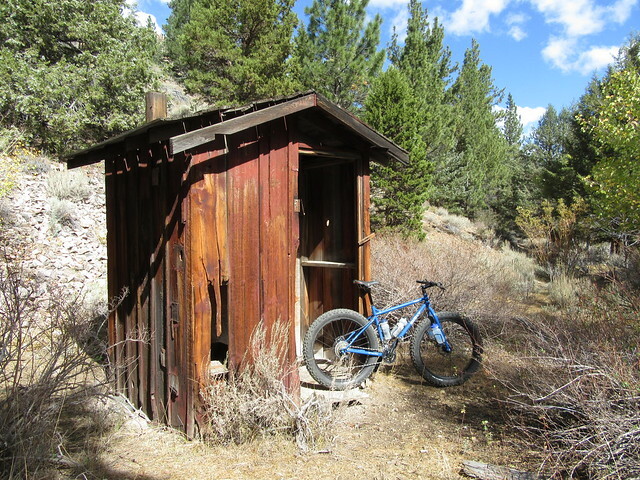 An old outhouse still stands here, but no other structural remains were immediately visible. A trail-side curiosity for sure. 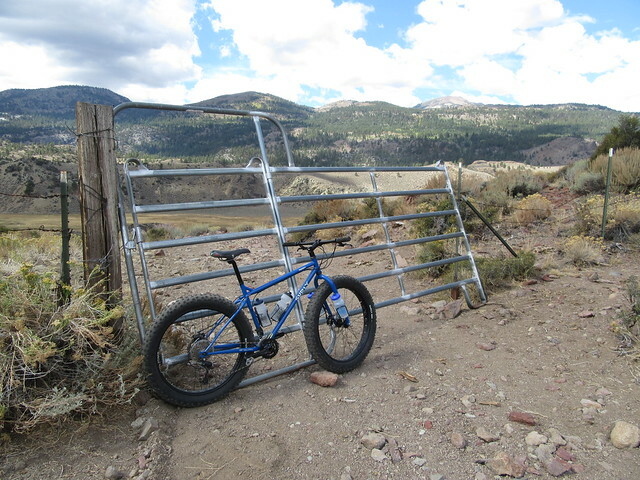 Before climbing the canyon, you must pass through a gate. 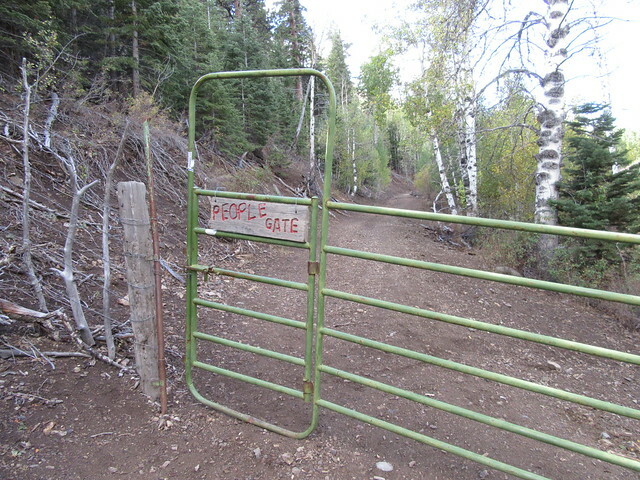 A smaller section of gate, conveniently marked “People Gate”, provides easy passage. The steep climb immediately past the gate had me grinding down in the granny gear, but luckily it’s over in about a quarter of a mile. 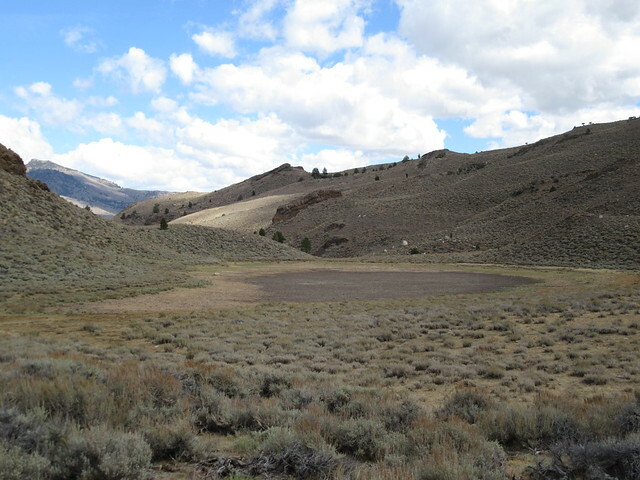 The grade eases up before arriving at the Kirman Lake basin and the road passes through a combination of sagebrush and meadow. 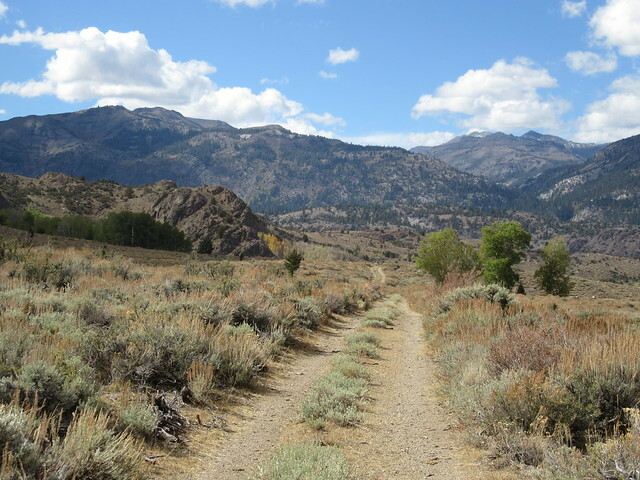 A gateway through the hills opens up with views of the peaks of Sonora Pass above. After passing through the gateway, you drop down to Kirman Lake (also known as Carmen Lake), a pretty blue jewel in the desert landscape. Although the lake is low on water, a few fisherman worked the eastern shore away from the thick reeds on the opposite shore. Most had walked in, but there was one mountain bike stashed in the bushes. The road continues along the south shore of Kirman Lake by a small aspen grove. Once past the lake, the road begins a rolling descent down to Mud Lake. I arrived at a dry Mud Lake, and guessing by the name, I’m guessing that it rarely looks too spectacular. Pausing only to take a photo, I kept pedaling up the road on the west side of Mud Lake until I reached another gate. This gate was leaning so bad, that it was more like opening a hatch than a gate. 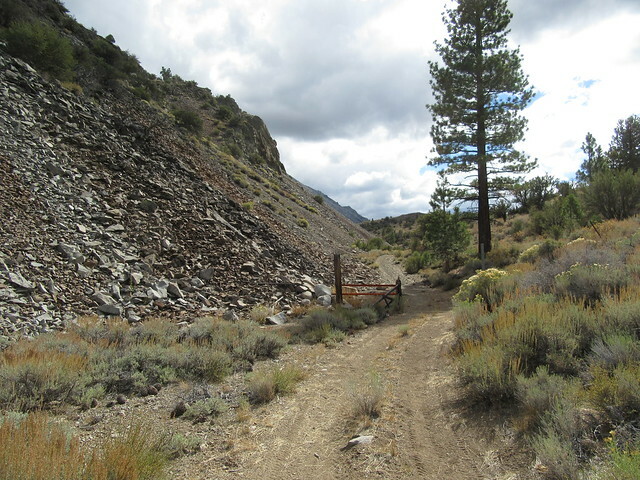 Just past the gate is a steep descent down to Pickel Meadow. 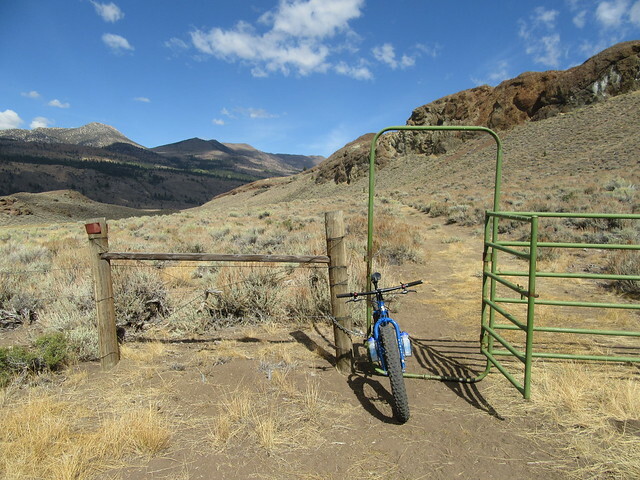 Pedaling around the south side of the meadow, I went through another gate, crossed Poore Creek, and then arrived at an intersection. The road to the south heads up to Poore Lake. To the north the road leads down to the West Walker River. 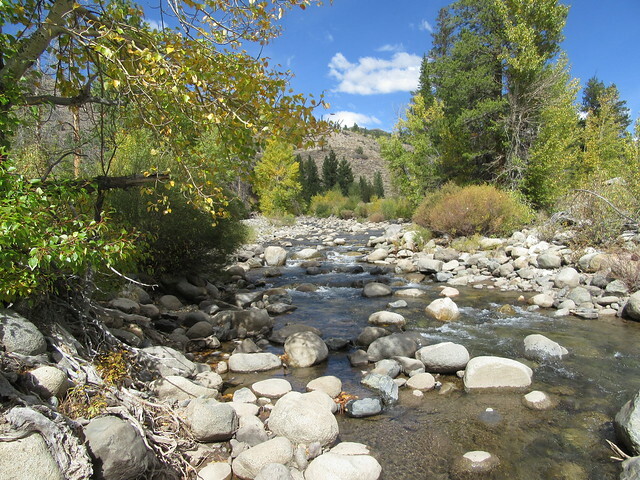 It’s three miles out-and-back to visit the river from here. 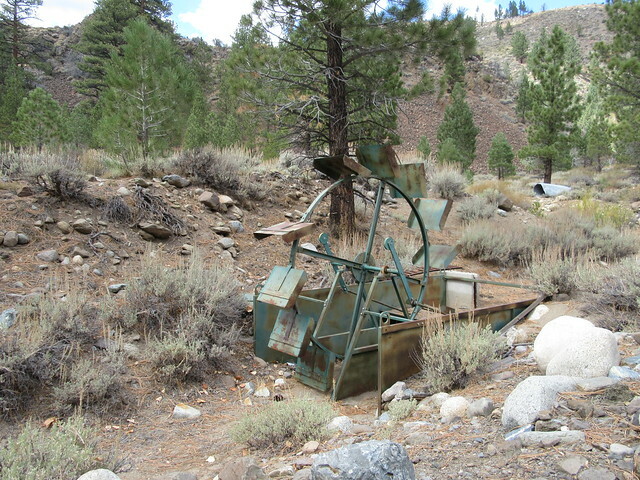 It took me a minute to decide which way to go, but then thought that I would regret not seeing the Walker River on this ride. North it was. Pedaling down the west side of the meadow, I reached another gate and laughed knowing that I’d be coming back through it soon. I couldn’t see the river when I reached the trees, but I could hear it and knew exactly which direction to go. 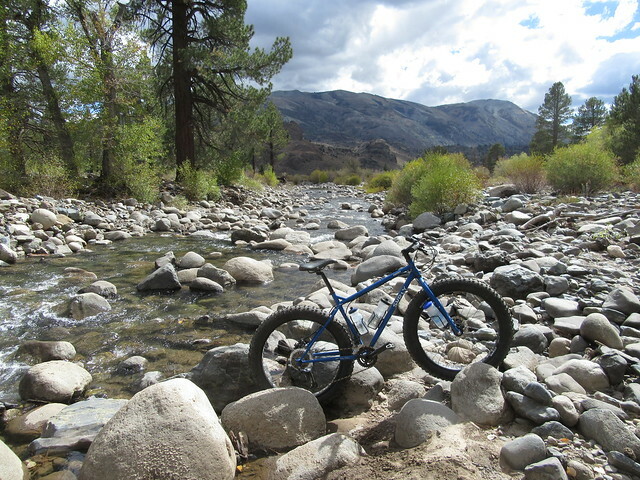 A fair amount of water was still rushing down the canyon, and it made a great spot to take a break. The trees were just starting to get their golden fall glow. Refreshed from my river time, I headed south back up the road. Near the river I contemplated an old water wheel in a ditch before continuing. Back to the north I could see the US Marine Corps Mountain Warfare Training Center on the other side of the river. 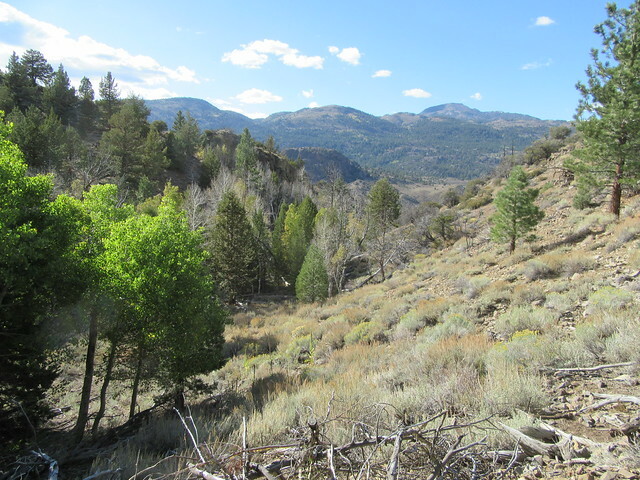 At the south end of the meadow I crossed Poore Creek once more, then began the climb up the mountain. I was worried the road up to Poore Lake would be too steep, but it ended up being a fun climb. There are a few steep grades, but they’re over quickly. 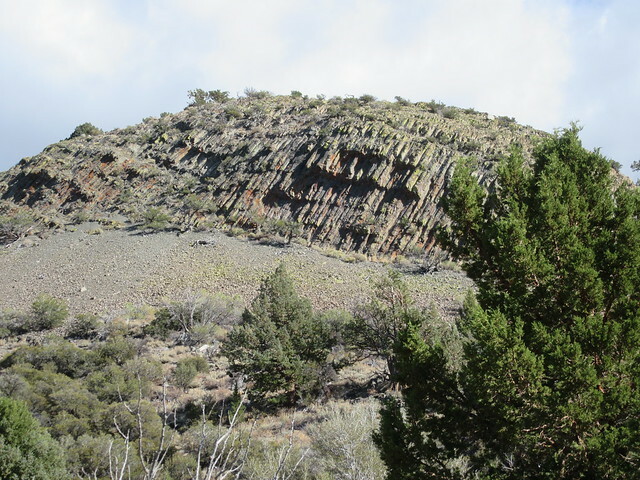 Along the way there are interesting rock formations, aspens, stands of junipers, and pretty meadows. 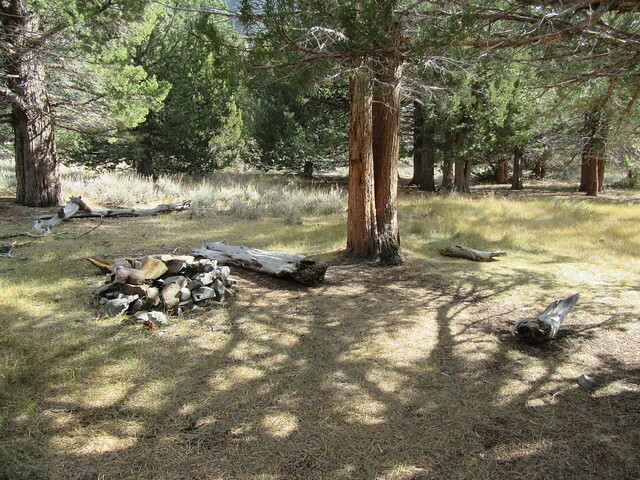 The climb ends at a nice campsite bordering a meadow. 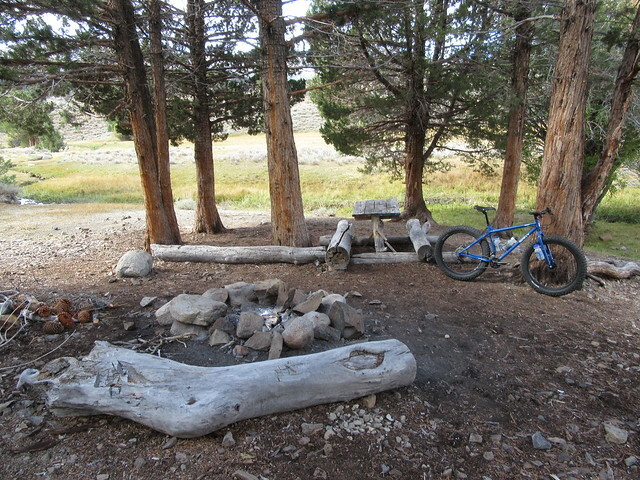 It was all ready to move in with a picnic table, fire ring, and a few cooking utensils. Nearby there was a suspicious looking cave that I didn’t get too close to. Later, around the corner, I would find out that the cave was a drain built into the dam of Poore Lake. Finally I arrived at Poore lake, my main destination for the day. Like the other lakes along the way, it was really low. 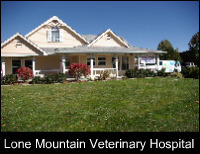 It had a faint odor, much like Washoe Lake did as it was disappearing. 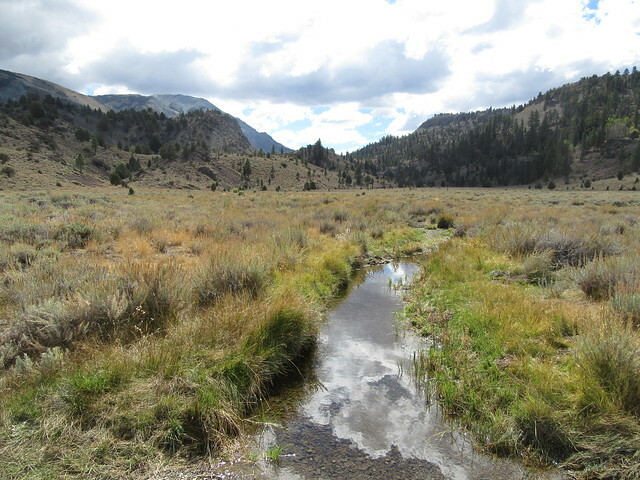 It didn’t take away from the beauty, though, and was a sight to behold at the base of the Hoover Wilderness mountains. 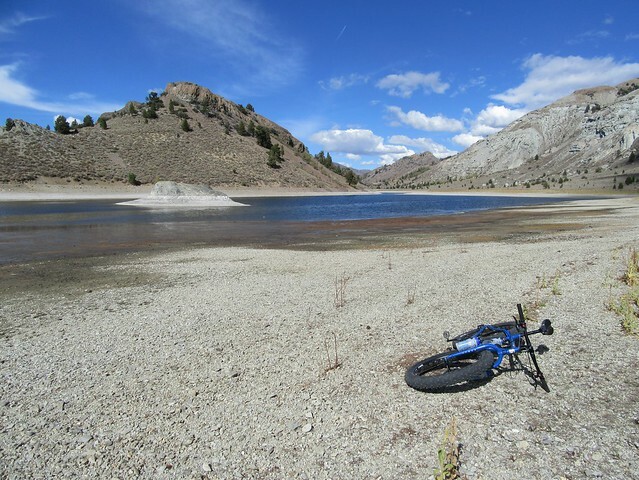 Low lake levels allowed me to forgo the road and ride along the rocky beach as I made my way around to the south end of the lake. 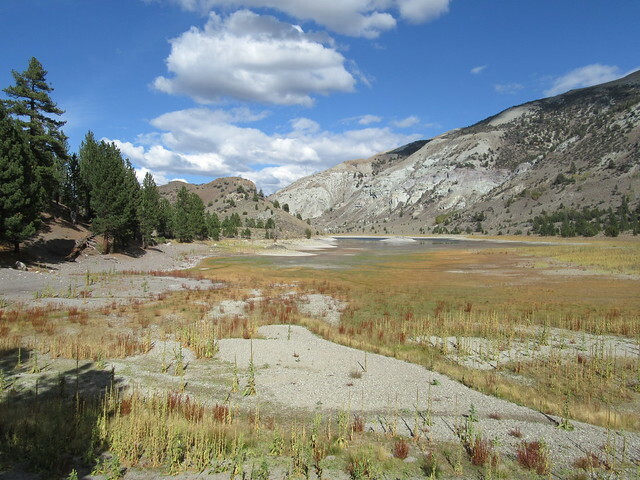 The south end of Poore Lake lies right on the border of the Hoover Wilderness. I found a high point on the south shore that offered good views of the lake. It made the perfect spot for lunch, rest, and to figure out what to do next. Secret Lake was right above me, and I thought that it’d be a shame not to go see it if I was this close. 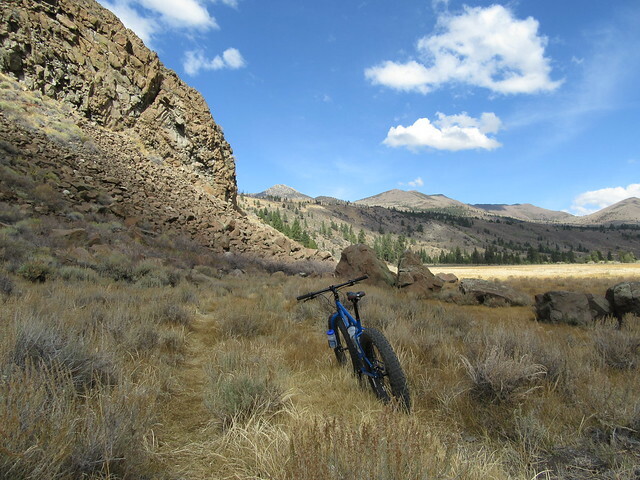 I followed a steep and overgrown path up the side of the mountain, pushing my bike over all the rocks. 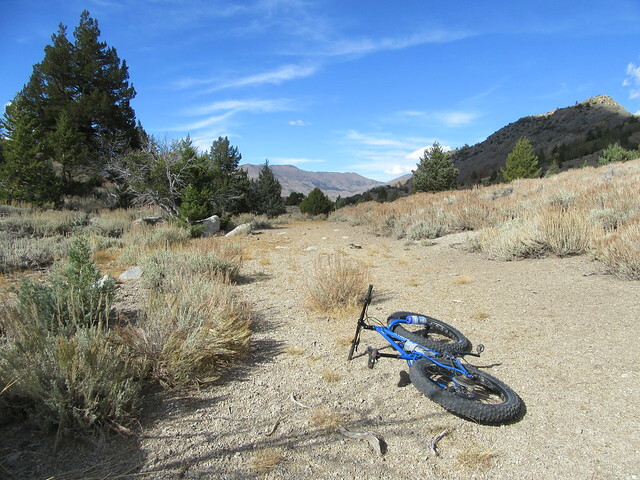 Very quickly I realized how arduous this hike-a-bike was going to be, and sat down to recheck my map and GPS. Although less than a half mile away, the terrain was difficult and there was almost a 300 foot elevation gain to get to the lake. Even if I ditched my bike in the bushes and went on foot, it was going to take some time and I was getting tired. I also considered that I planned to explore a different route back, and these “shortcuts” never turn out to take less time. Deep down, I knew I was in for some adventure and needed to save my strength. Instead of returning along the beach of Poore Lake, I decided to find the apparent road that the map indicated. I found a nice campsite and knew the road had to be nearby. 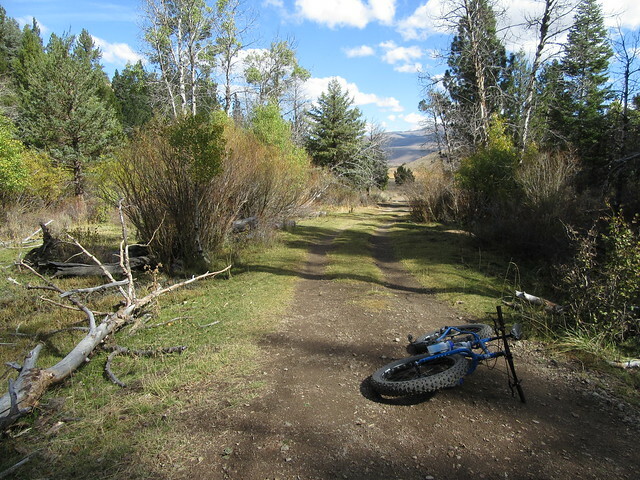 Sure enough, I found an overgrown double track leading into the sagebrush. It’s obvious this hasn’t been used as a road for years, as there were 6 foot tall pine trees growing right in the middle of it. 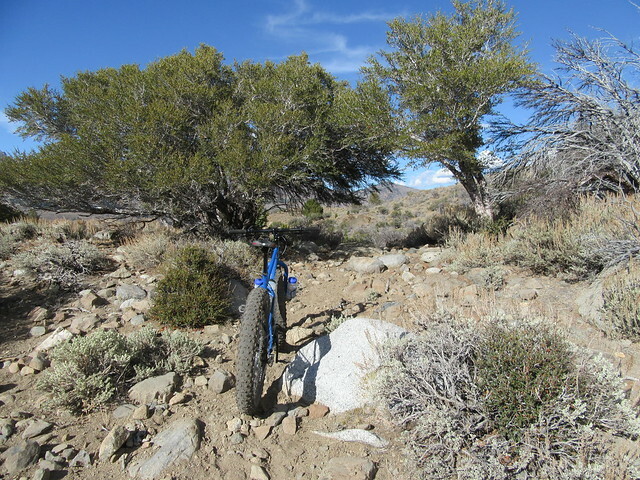 I had to crash through the bushes in some places, but it made a decent trail overall. 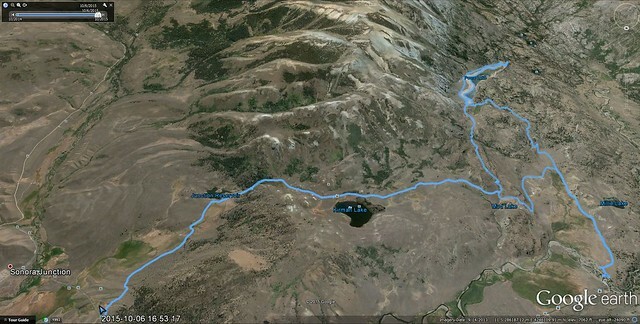 If the lake level was too high or the beach too muddy, this would be the route to go. When I got to north end of Poore Lake, it was time to explore the so-called shortcut. 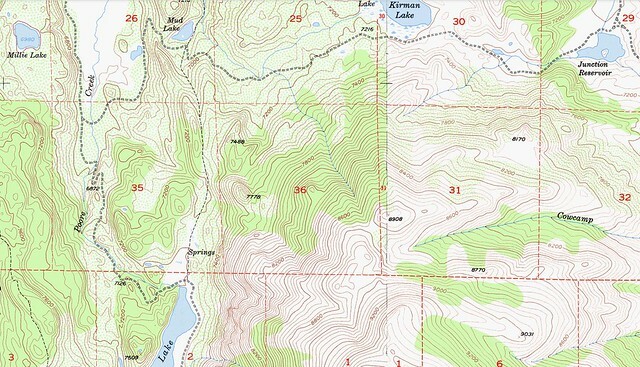 One map I looked at showed a pack trail connecting Poore Lake to Mud Lake, and it looked like I’d save some climbing back to Mud Lake by following this route. There was no trail to start with, but figured I’d pick something up ahead where the terrain narrowed to restrict passage. 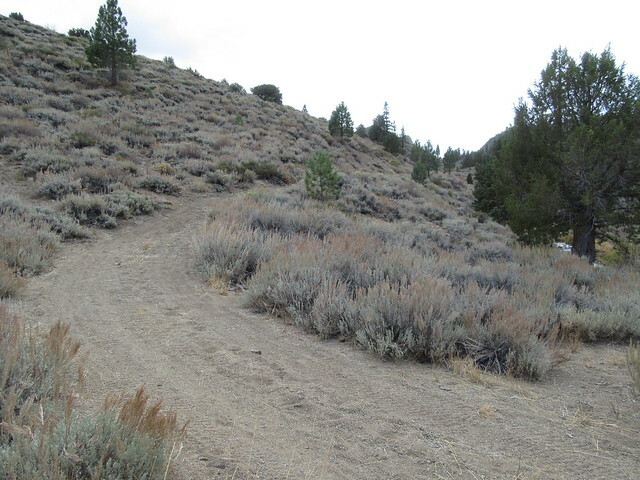 Soon I was riding, following hoof prints through the bushes at times or crossing dry pond beds, always looking for the path of least resistance. 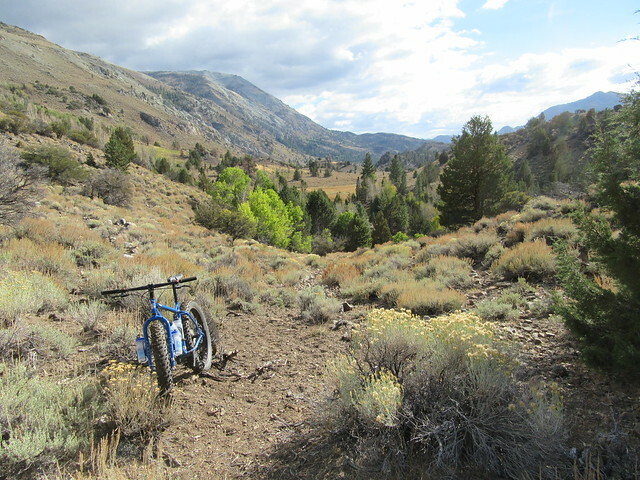 Eventually I dropped down into a canyon where the vegetation became too thick to ride anymore. I started to get that bummer feeling: no good way forward, and too far to go back. 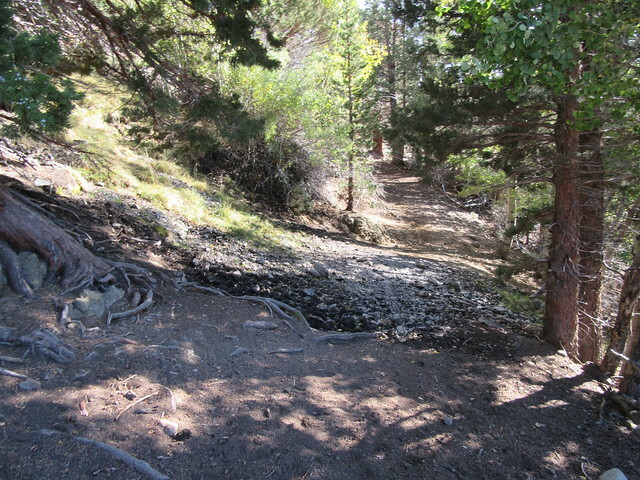 Then I spotted a trail headed uphill through the Aspens, and I was back on track. 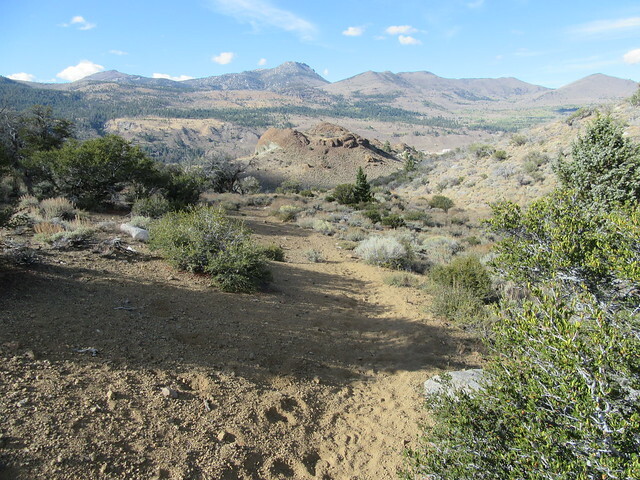 The trail was wide enough that I thought it might turn into a road, but it quickly turned narrow and rocky as it climbed to the saddle. It wasn’t far to Mud Lake, though, and moving forward was progress. Starting out on the short cut. Not too bad. 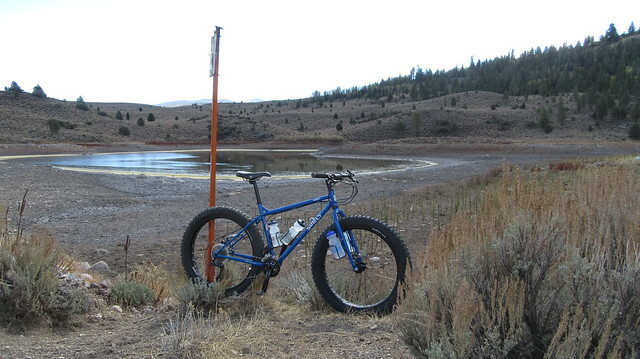 When I reached the saddle, it was all downhill to Mud Lake. There was even a distinct trail to follow. I had to be careful, though, because there were a lot of hidden rocks. If for some reason I got laid up here, nobody would think to look for me in this spot. I carefully made my way down the mountain until I rejoined the road. My shins had a bunch of little cuts from all the bushes, and I was grateful to get back to the easy pedaling road. I laughed to think of the fun downhill out of Poore Lake I missed, and how the climb I was trying to avoid wasn’t all that bad. It was good to explore this route just to see, but I would not go this way again. My legs were pretty much done when I got back to the road, so I just stuck it in low gear and crawled my way back up. 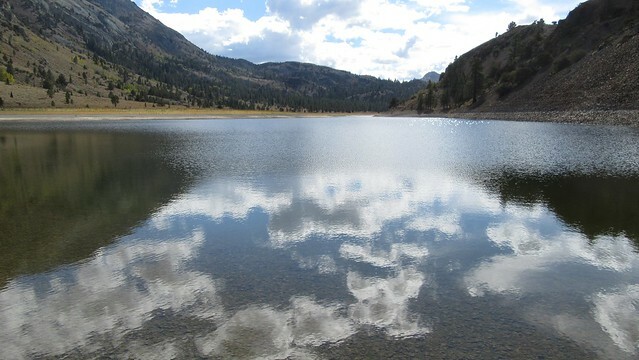 Kirman Lake was completely quiet when I got there, all the fisherman gone for the day. 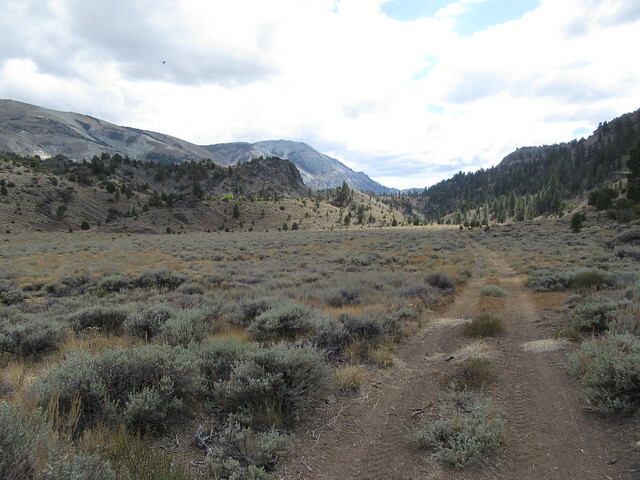 Just past Kirman Lake was a big descent back to the trailhead. I was definitely ready for some easy downhill. Close to the end, I arrived at the last two fence crossings. Completely exhausted at this point, it was all I could do to lift my bike over the fence and climb over the ladder. I even rested for a bit at the top of the first ladder as I tried to get a good footing down the other side. This ride exceeded my expectations. Not only was the area much bigger than I anticipated, I really enjoyed the scenery. 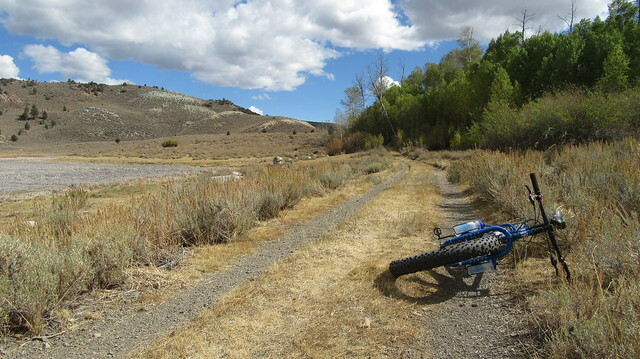 Although mostly on dirt roads the whole way, it is lightly used double-track with an overgrown center strip. 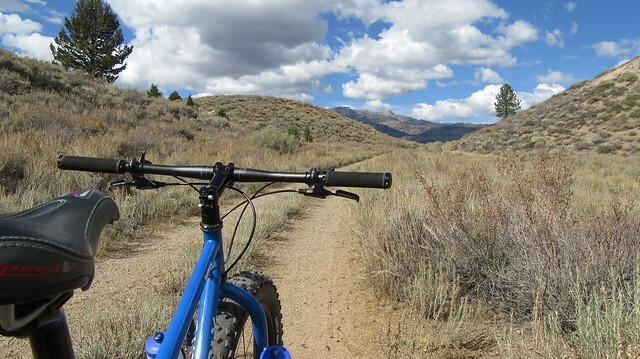 Pick either side, and it’s like riding singletrack. 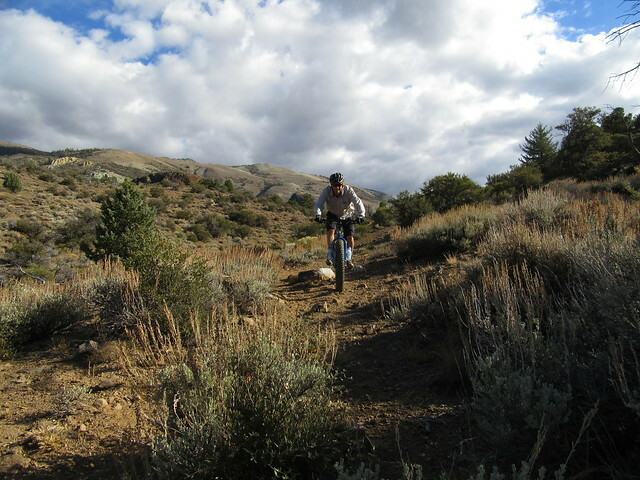 The terrain is smooth and pleasant to ride. My route was just under 20 miles, with a little over 2,000 feet of climbing. 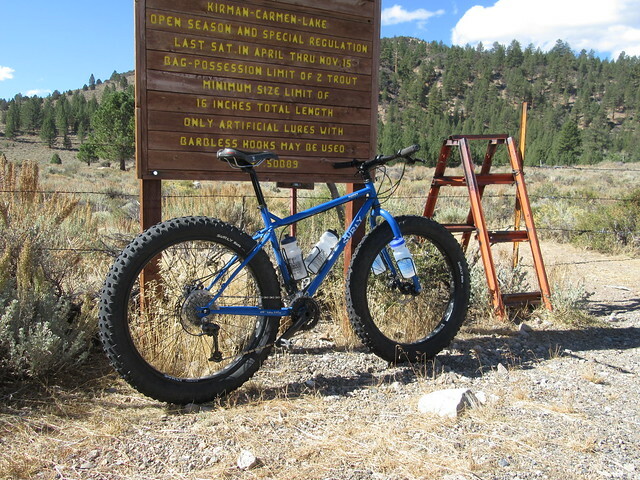 I thought my fat bike was the perfect bike for this ride, but there aren’t too many areas that a regular mountain bikes would have trouble with. You may want to skip my “shortcut”. Check your map, and you’ll see there are many other points of interest to explore in the area. I’ll definitely ride this one again. 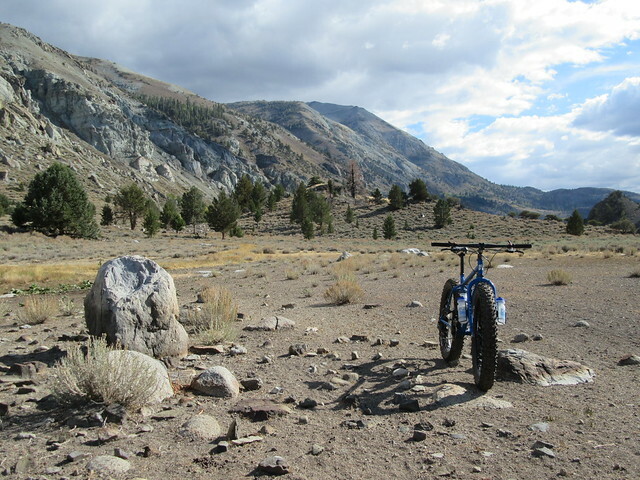 Although this ride is outside the boundary, The Tom Harrison map of the Hoover Wilderness includes this route on it. 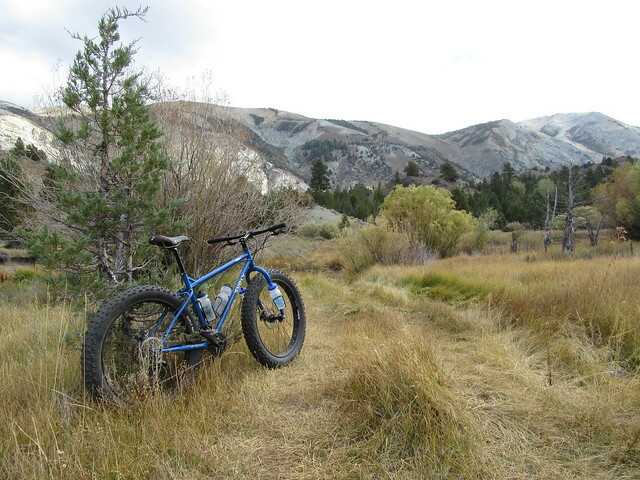 Be mindful of the Hoover Wilderness boundary…no bikes in the wilderness. 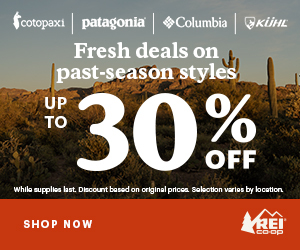 There is no cell service on the trail with the exception of areas close to SR 108. Plan accordingly! 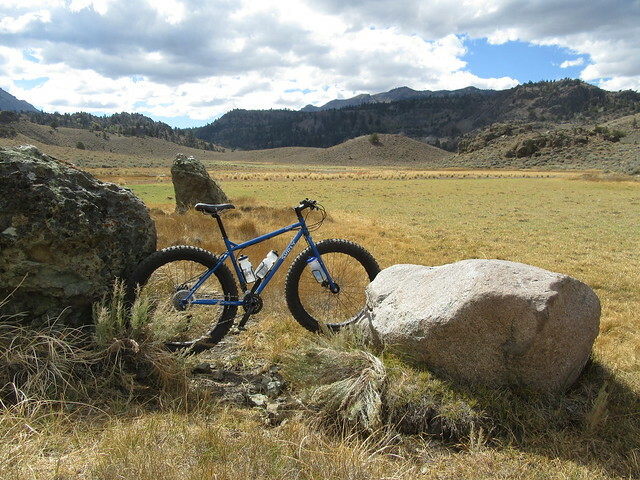 More photos from this ride on Flickr here. Jeff, thanks for the trip report. Looks like a good ride. 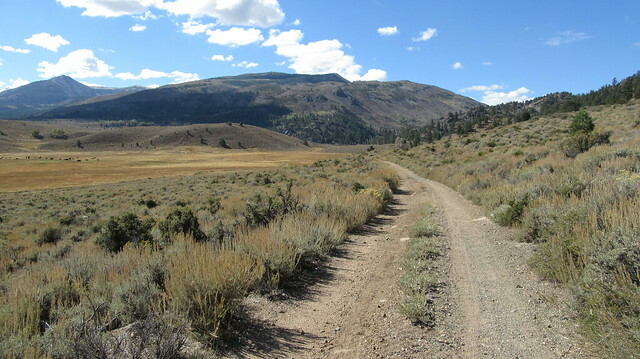 FYI…The Caldera 500 just went through that area a few weeks ago, so any bike tracks you saw were most likely from the two brave souls who made it that far along the course (around 400 miles to those lakes). Actually, that’s where I got the idea. I was looking at a zoomed out map of their route, and went looking for how they might have gone through that area. Would definitely like to explore more of that route! 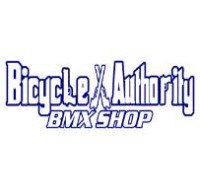 The crazy thing is the area you explored was an “easy” area for those riders, compared to the rest of the course! 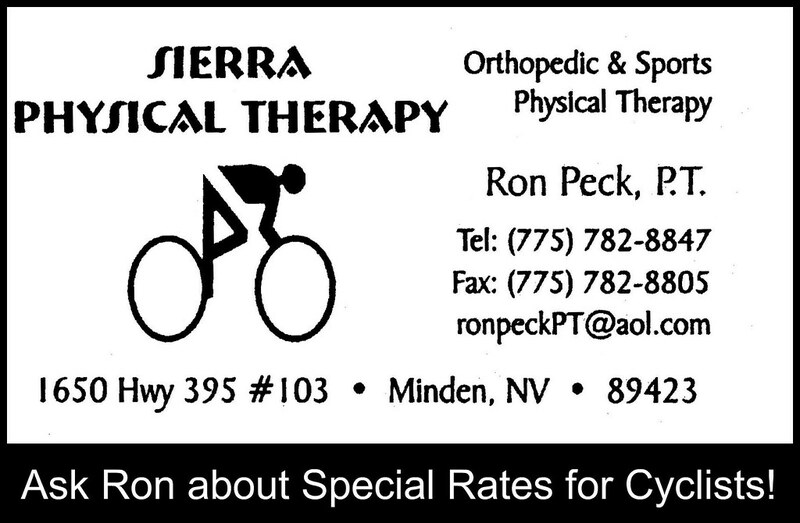 Amazing course and tenacious riders. A friend of mine ( http://trackleaders.com/caldera15i.php?name=Keith_Richards_Dinger) started on the 500, but had to back out and only complete the 250 due to the difficulty of the route. 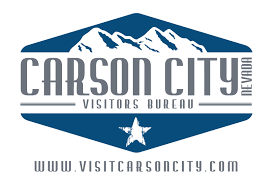 This will be a good 7-10 day “vacation” for you next year….good luck.